The Edge: What’s the sentiment out there? Do you see support for the opposition increasing? 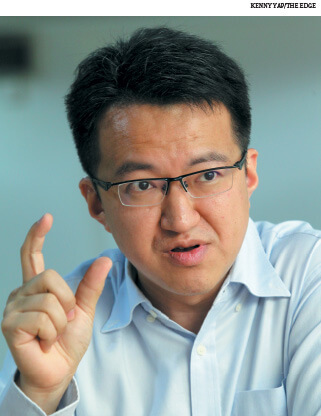 Liew Chin Tong: You could say non-Malay support for the opposition has stagnated or softened. In 2008, non-Malay support for the opposition was probably about 65% to 70% across the board. In places like Penang, it was a bit higher. In 2013, the support of non-Malays for the opposition, especially in Chinese constituencies, went up to 85%, in places like Penang 90%. But we are not at that level now. We are probably at 65%. Fatigue. Also, those who swung to us in the last election were MCA (Malaysian Chinese Association) members, the older Chinese and rural Chinese. For example, Barisan Nasional didn’t expect to lose in small towns in Johor because they are agricultural towns with older populations. But the young people from the cities went back and told their parents to vote for the opposition. And naturally, the moment you don’t become the government, they went back. We are now at around 65% among the non-Malays and many say they will not fly back to vote. One particular area is Singapore — one million Malaysians work in Singapore. And those voters who reside in Singapore are very important to Johor. How will Barisan Nasional fare? BN has no feel-good factor now. You cannot go into an election purely playing on the fear of the DAP. The battleground is in the semi-urban areas. The urban areas, we are more or less there. Urban areas have very high non-Malay support for the opposition, and even among Malays in the last election it was a 50:50 split. That was evident in Kuala Lumpur because out of the 11 parliamentary constituencies, BN only won two. That means in many other areas, Malays also voted for the opposition. In Selangor, the opposition was able to win because it had 50% of the Malay vote and a very high proportion of Chinese and Indian supporters. That is the formula that has to be replicated everywhere else. The main battlegrounds are southern Kedah, northern and southern Perak, mainland Penang, northern Selangor, northern and southern Johor and the Karak belt. All these will give you over 40 seats. And these 40-plus seats will decide the future of the country. These are all marginal seats. Out of the 133 seats that BN won, 60 were won with less than 55% of the vote. Among the 60, 16 were won with below 50%, many of them were marginal and three-cornered fights, particularly in Sabah. So, those are very marginal seats. So, you see your chances as being good? Maybe... because we have never seen Malay voters so restless. Back to the 2008 scenario, there was no opposition coalition in 2008. There was no aggression among the opposition but there was Bersih — it was a platform for the opposition to come together under a larger umbrella. There was Hindraf. At that point of time, there was no dispute among the opposition. And of course, BN at that time was quite arrogant — it thought it would win [big]. Of course, now [some] think it may not win, so it is doing anything it can to stay in power. How do you compare Reformasi and now? [Tun Dr] Mahathir [Mohamad] will tell you that he won on Chinese votes in 1999. That year, 50% to 55% of the Malays voted for the opposition, that was the highest ever. After that, even in 2008, Malay votes did not exceed 50%, hovering at around 40%. But in Kuala Lumpur and Selangor, you have higher Malay support for the opposition. It’s worse in Johor. PAS only gets about 30% and DAP gets about 15% Malay support. So compared with 1999, what’s the difference? [The support] was very urban, apart from Kelantan and Terengganu. Of course, the Malay votes in Kelantan and Terengganu swung, creating the Terengganu PAS government and Kedah as well. The electoral gains were in Kedah, Terengganu and Kelantan. But the swing was in mostly urban areas. In 1999, places like Johor were not affected because it was an Umno stronghold and Umno did not split. [Now] is the first time the Johor Umno machinery has split down to the division level. It has never happened before. Do you see Tan Sri Muhyiddin Yassin’s crossing over as having a big impact? It has an impact on Johor but, more importantly, Bersatu’s impact now is not so much about how much it has gained but how much it has split Umno. That means the battle is no longer within Umno but between the Umno warlords and the younger generation. Umno can’t do away with its warlords and it will not be able to field too many young professionals, but when you go into an open election, young professionals are vote gainers. Cost of living issues have been there for a while. BN, as the incumbent, has the nation’s coffers in hand. If tomorrow more money is allocated to BR1M, how will that work? It may work. Except that these difficult times have been dragging for too long. But still, if they deal with it properly, the entire dynamics will be different. The opposition is still banking on [Prime Minister Datuk Seri] Najib [Razak]’s unpopularity and cost of living issues. But the next step for the opposition is to offer policies. That is where we are lacking. Isn’t that basic? Why is it so difficult for the opposition to get its act together and offer policies? I think the main issue is that over the past three years, we have had two major political earthquakes. We had the split of Umno, and the split of PAS, which [I believe] was part of Najib’s strategy. BN is weak, but we are not strong. That is the weakness of the opposition, partly because of our own leadership [who will be PM?] question. I acknowledge that we have to move fast. At the end of the day, the incumbents are still the incumbents and they have the advantage. During our interview with Mahathir, he said that to think that Malay votes can be bought would indicate that BN has a low opinion of the Malays. What’s your view? I agree with Mahathir. You talk to many people and they say Malay voters are rural. Malay voters are not rural, most are semi-urban and most of their children are in Kuala Lumpur or the Klang Valley. Their parents may be rural but they are not. Also, understand that for the first time, we have Malay opposition leaders who have a higher standing among the Malays compared with Najib — Mahathir and [Datuk Seri] Anwar [Ibrahim]. My view is that in the past seven to eight years, Najib didn’t have the right set of economic advisers. I think perhaps among all his advisers, [Second Finance Minister Datuk Seri] Johari [Abdul Ghani] has the best understanding of the economy. What then? What urgent measures will you take to revive the economy? The opposition will have to articulate a vision — one that basically says that over the past 20 years since the Asian financial crisis, we have stagnated. We have wasted a generation and we shouldn’t waste the next. And it should be about doing all these difficult things together, including reducing unskilled foreign labour, moving small and medium enterprises to a higher level, creating Malaysian champions, creating more jobs for Malaysians. All these will have to be articulated in a way that ordinary Malaysians can understand. On the ground, some people are saying that if it was not for Mahathir and the system he put in place, Najib wouldn’t have been so powerful. And now Mahathir is on the opposition side. Nobody’s a saint. Everyone makes mistakes but eventually they are prepared to fight the system. And that is where I see the public giving support to Mahathir — not because he’s a saint, but because at his age, he’s prepared to do this. People are prepared to accept his fighting the system and undoing his wrongs to redeem himself. How about Sabah and Sarawak as safe-deposit seats? I think a lot of interesting things are happening in Sabah, led by [Datuk Seri] Shafie Apdal [former Umno vice-president] and this long-standing unhappiness among the Kadazans. Shafie is talking to everyone. He’s making an impact. Sarawak is a BN stronghold but not an Umno state. Without PAS in the opposition and in a three-cornered fight, there is no hope for the opposition to win. Do we think that voters are loyal to money or are they loyal to the party? The next election will be very difficult [for us to win]. It can only happen when Malay voters who usually vote for Umno vote for other parties. It has to be a groundswell. We are now talking about a major realignment that has not been seen in Malaysian history. We have to deal with two major trust issues: whether eventually Anwar and Mahathir and their people can fully trust each other and build a genuine collaboration. Anwar appeals to a certain segment of the population — the urban Malays, the non-Malays, Malays who are between 30 and 50 years old — those who may not trust Mahathir so much. Mahathir appeals to the older generation, the establishment, civil servants, and the very young below 30. The [mood] on the ground is very anti-establishment. Whether we can create a miracle, I’m not sure.